About an hour ago, I was a paragraph away from publishing this story with a much different focus. Originally, the post was about the unlocked Galaxy S9 and Galaxy S9+ and how Samsung was failing to update them regularly. But then I got to looking and realized that, well, Samsung isn’t updating any of the Galaxy S9 or S9+ units, including those from carriers. And that’s a problem, because Samsung is supposed to be issuing monthly security patches, along with other bug fixer and feature introduction updates. What in the f*ck, Samsung? These phones were released on March 16 and we wrote up that a day 1 update was expected for almost all models. And it did indeed arrive. All of the US carriers have records of that update (Verizon, AT&T, T-Mobile, and Sprint). That update, even though it was released in mid-March, only included the February Android security patch. You know where we stand today? Exactly in the same spot. 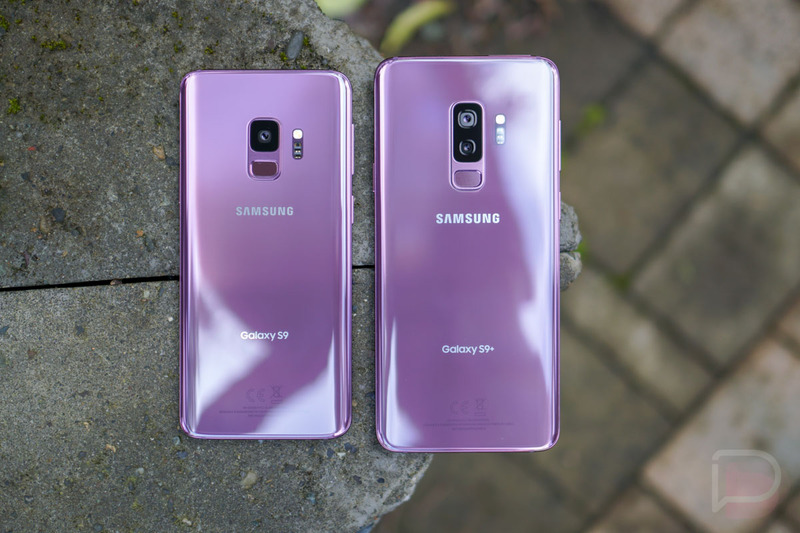 Samsung hasn’t released an update to the Galaxy S9 and Galaxy S9+ since they were initially released in the US. See, he’s still running the February 1, 2018 security patch and software version G965U1UEU1ARBG. It’s been three months! Not a single update has come across, including those that should be patching security holes. Now, Samsung has started pushing a new update within the past day. Verizon (S9, S9+) and Sprint’s (S9, S9+) units are both getting updates right now, the first in three months. Verizon and Sprint units are all getting software builds G960USQU2ARE6 (S9) and G965USQU2ARE6 (S9+). This update only includes the May security patch, even though we are well into June. There are no other changes listed with either changelog. 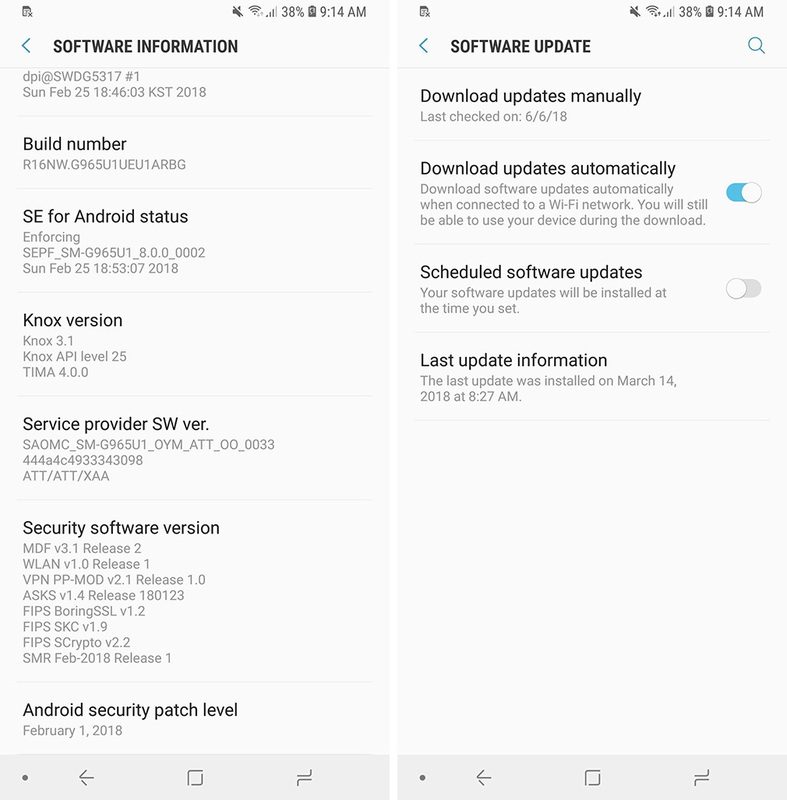 T-Mobile attempted to push an update to the S9+ in March (G965USQU1ARBG) followed by another to both phones (G960USQU2ARC6) back in April, but paused the April update for some reason. To our knowledge, it has not resumed. AT&T hasn’t sent an update since that day 1 release. How does this compare to the Galaxy S8? The Galaxy S8 is still getting monthly updates from Samsung and its carrier partners. See here, here, and here. The same can be said for the Galaxy Note 8. What’s up with the Galaxy S9 and S9+? Tough to say. Samsung’s own security updates page that says that the Galaxy S9 and S9+ are eligible for monthly security updates, leaves open the possibility that they’ll only update them quarterly. There is a footnote acknowledging that “some carriers may only support quarterly updates,” which would be a garbage move on everyone’s part here when you consider that the S8 and Note 8 are getting them monthly and that the S7 did up until the end of 2017. So be on the lookout for your first Galaxy S9 update since launch and then sit back and prepare for the possibility that you may not see another for 3 more months. And do we even want to talk about Android P, even though these phones run a Snapdragon 845? I’d certainly not get my hopes up there. Not a good look, Samsung. You should update your phones.